Posted in: Community, Media Release. Tagged: Child Abuse, Child Abuse Prevention Month. 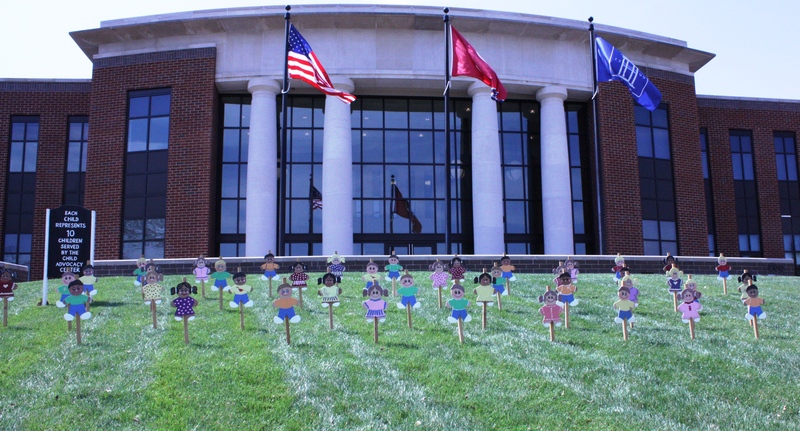 Franklin, TN – Child abuse and neglect affects more than three million of our nation’s children annually. In 2013, the Davis House Child Advocacy Center in Franklin provided services for 409 area children who were physically or sexually abused. Partnering with police to help investigate and resolve sensitive cases involving children is why the center exists, providing invaluable resources to young victims and their families. April is Child Abuse Prevention month. 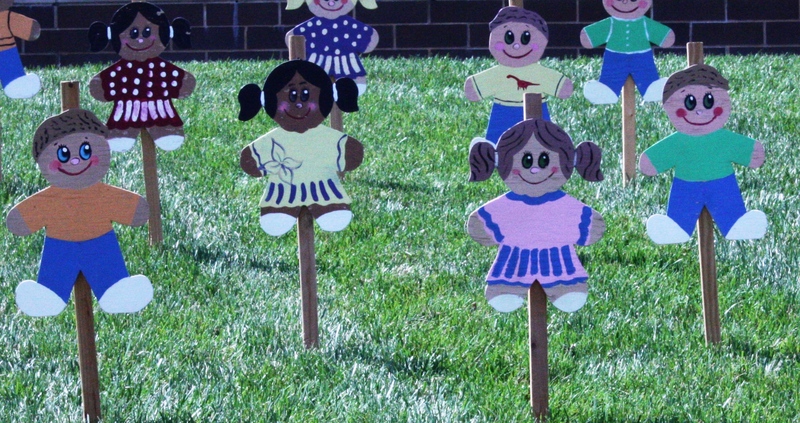 In cooperation with the Franklin Police Department, the Davis House has placed 41 child cutouts on the front lawn of Police Headquarters – one for every 10 area children served just last year. The display, created by a local Eagle Scout in 2011, will be featured there for the remainder of the month. “This display helps to provide a real visual that shows what so many kids and their families in our community face,” said Davis House Executive Director Marcus Stamps. A candlelight service honoring abused children, and the agencies that partner to protect them, will be held at the Franklin Police Department on April 29th at 5:30 p.m. Details about the event are forthcoming. For more information about the Davis House Child Advocacy Center, contact Marcus Stamps at (615) 790-5900, or visit www.davishousecac.org.